Cyclists in Juneau know that this can be a wonderful place to ride a bike, and now the community is even receiving national recognition as a biking city. For the second time since 2011, Juneau has been designated as a Bicycle Friendly Community by the League of American Bicyclists. Juneau is one of three communities in Alaska to receive the designation, including Sitka (bronze) and Anchorage (silver). The community received a Bronze level rating in recognition of, among other things, the many activities and events Juneau Rides hosts during National Bike Month in May. Design and publish a bike map in paper and online. Reliably clear roads and bike paths of snow and debris; restripe as needed. Encourage the University of Alaska Southeast to promote cycling to students, staff and faculty. Appoint a bicycle advisory committee. 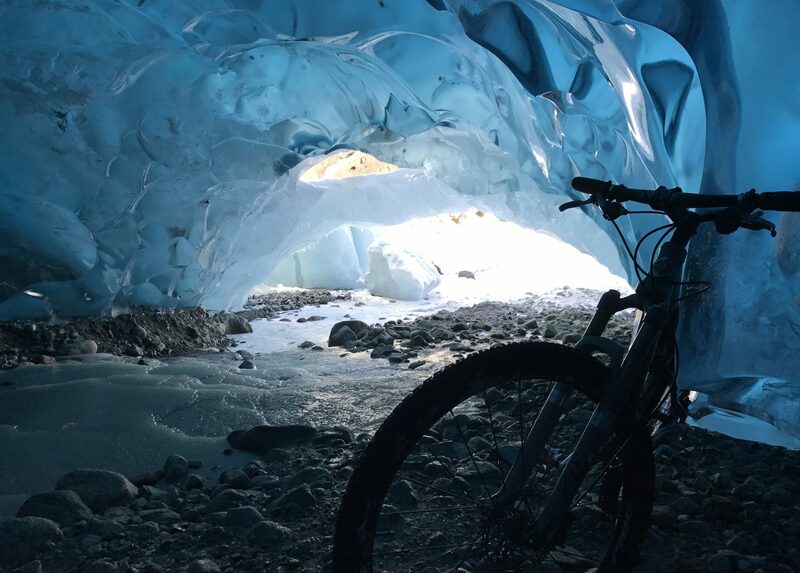 Unfortunately the application process doesn’t award extra points for being able to bike to a glacier, or we surely would have been awarded Silver status! You can read Juneau’s full report card here (pdf, 109KB). Next PostNext Could Alaska get a “Share the road” license plate?